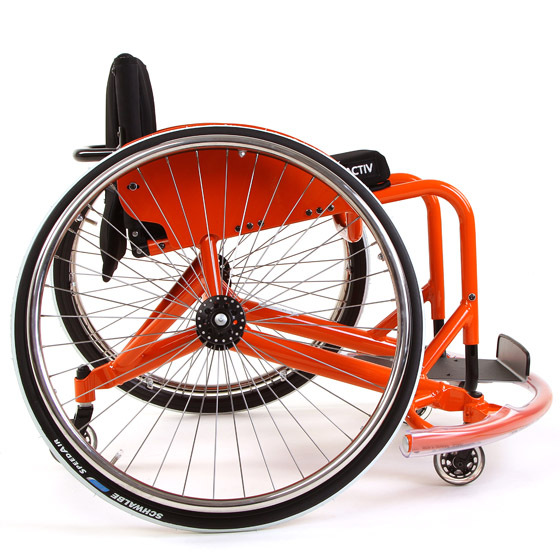 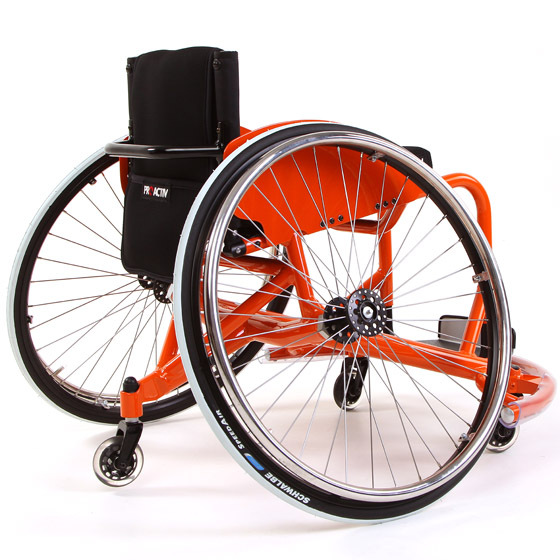 With fifteen optional frame parameters, the SPEEDY 4basket wheelchair is the individualist in its class. 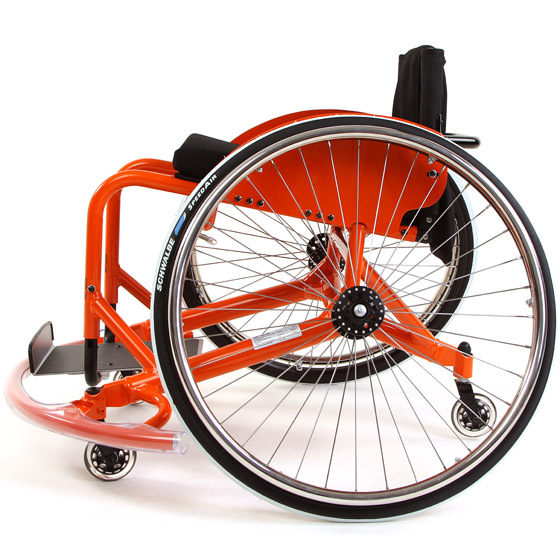 Its special construction and austere design combine easy turning and good responsiveness, acceleration and a high running speed with a modern design. 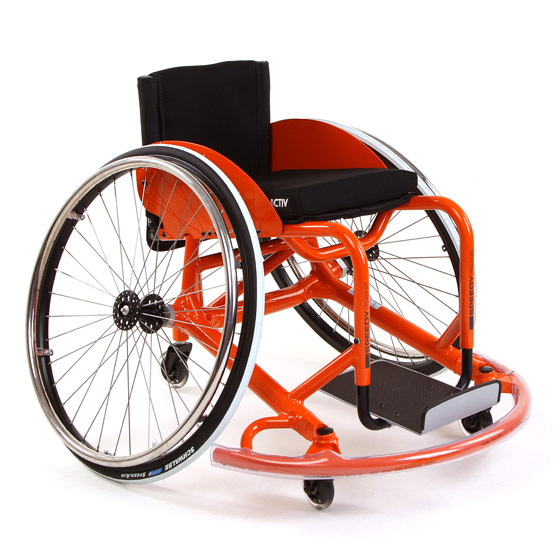 This sports device can be individually equipped to meet the requirements of both playing position and player. 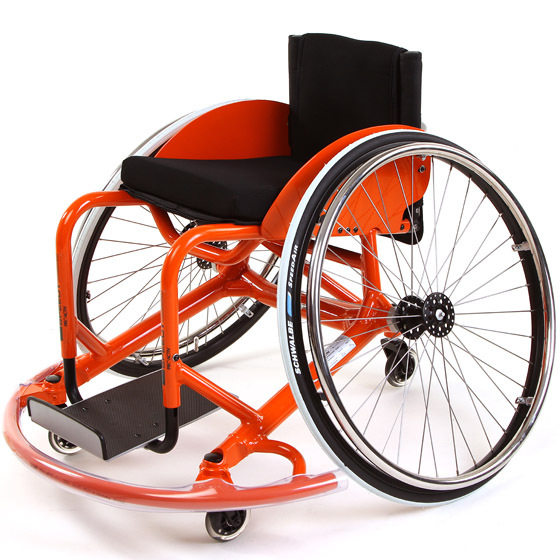 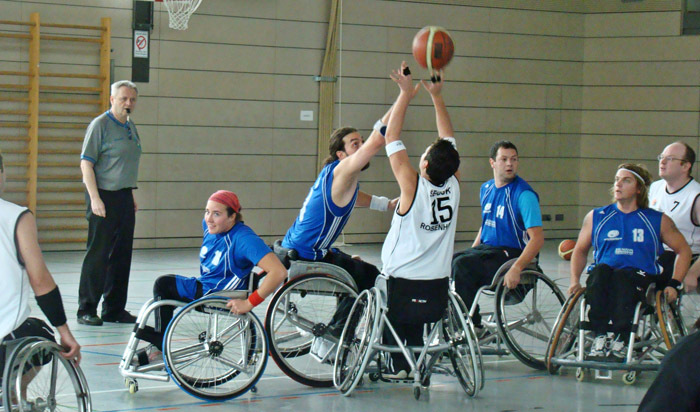 SPEEDY 4basket Overlite: the complete seat unit is bent from one aluminium tube based on individual dimensions. 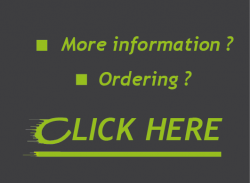 This leads to enormous weight savings. 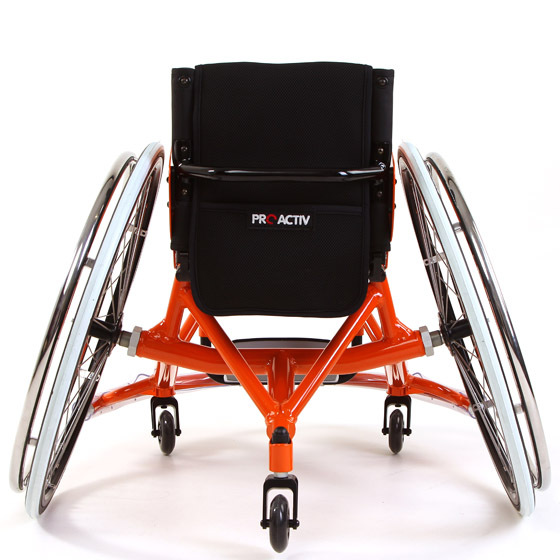 There is no play in the rigid seating and back unit so the wheelchair responds to even the smallest movement.